The Committee for a Workers’ International (CWI) sends solidarity greetings to workers, young people and all those exploited by capitalism around the world. We extend revolutionary greetings to all those in struggle. We stand shoulder to shoulder with workers and youth resisting war, racism, dictatorship and the capitalist system. Historic congress of Izquierda Revolucionaria in Madrid - towards unification! 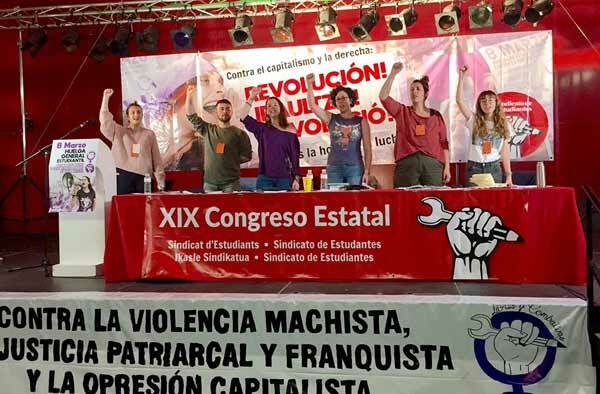 CWI members from the International Secretariat, Spain, Portugal, Scotland and Belgium are currently participating in an historic congress, of Izquierda Revolucionaria in Spain. This represents a key step forward in the unification of IR´s forces in Spain, Mexico and Venezuela with the CWI.